Email: info (at) eastindiansupermarket.ca . 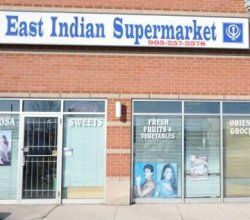 East Indian Supermarket is a family-owned grocery store business located in Oakville serving the Asian & Indian community for 15 years with over 2000 sq. ft. of retail facility. 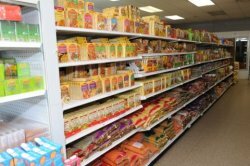 East Indian Supermarket carries all kinds of Indian groceries from a wide variety of name brands. 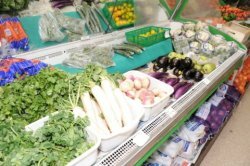 East Indian Supermarket also carries fresh fruits, vegetables, best sweets & samosas and all kinds of indian foods & spices including rice, flour, lentils, you name it. We also have a huge section of frozen items including milk, cheese, yogurt & all other diary products. East Indian Supermarket always strive in providing the best customer satisfaction, a very clean & friendly environment along with the best prices in town. We prides ourselves on having clean stores, competitively-priced products, a large selection of quality national and regional brand products and one-stop shopping services. Customer satisfaction is East Indian Supermarket's #1 priority. East Indian Supermarket is located at 2427 Trafalgar Rd in Oakville at the intersection of Dundas & Trafalgar. East Indian Supermarket is a one-stop shop for all your groceries.